National Alcohol & Liquor Factory (NALF), the pioneer alcohol producer of the nation, changed its century-old packaging by launching the new look with 3.5 million bottles costing the factory 40 million Br. The size of the packaging changed from the unconventional volume of 980ml to standard international size of 750ml and one-litre bottles. Along with the packaging, NALF has also made a 10 Br price adjustment on its products. Additionally, it has changed its former logo. Repackaging was done with the aim of penetrating the international market, according to Kokebe Kumbi, marketing manager of the Factory. “Our former packaging was out of the global standard,” she said. The 111-year-old factory changed its packaging size and shape as well as labelling for the first time since its establishment. For now, it is piloting the new packaging on two of its brands- Baro’s Dry Gin and Ouzo. “We are collecting comments and feedback from our customers,” said Kokebe. All the 3.5 million bottles are imported from an Indian company, Haldyn Glass Limited (HGL), a company engaged in the manufacturing of soda lime flint & amber glass containers since 1964. However, for its future use, the Factory will deal with Addis Abeba Bottle & Glass Company to source bottles locally, according to Mesfin Abate, deputy CEO of the Factory. NALF started the latest makeover following the 2008 management restructuring. For the entire reorganisation, the Company developed a system and product renovation plan by a technical committee formed for this specific purpose; it has also been approved by the board of the Factory. The plan also includes repairing and replacing the outdated machinery and upgrade its laboratory management system in line with international standards. Besides, it has undergone the installation of waste treatment facilities for its Mekanissa and Sebeta plants. Old production machinery and distilleries of the Mekanissa and Sebeta factories were repaired and changed. The machinery renovation raised the daily production capacity of pure alcohol from 5,000lts to 18,000lts for Mekanissa plant and 12,000lts at the Sebeta plant. NALF invested 415.7 million Br and 318.7 million Br for the renovation of Mekanisa and Sebeta plants, respectively. “The restoration increased our production and sales capacity by two folds,” Mesfin told Fortune. The profit of the Factory also increased by more than three folds from 188 million Br in 2011 to 607.4million Br in the previous fiscal year. Its capital also bumped from 12 million Br in 2011 to 222 million Br last year with 683 employees. Currently, NALF exports its products to Kenya, South Sudan and Israel. “We are working to export our products to China, United States (US) and South Africa,” said Kokebe. Including the recently launched products of Apple and Coke, the Factory currently produces 15 types of alcoholic products with alcoholic content ranging from 24pc to 43pc. It is also working to launch vodka. .
Alazar Ahmed, a marketing expert with an experience in consulting beverage factory, supports the NALF’s move of repackaging as it is one of the strategies used by companies for creating an emotional appeal to customers. “Such innovative ideas help the company to become competent in the market and retain customers,” he said. NALF was established in 1906 by an Armenian entrepreneur, Elias Papassinos. 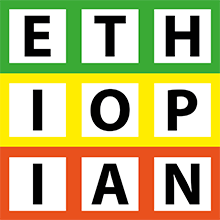 In 1976, it was nationalised by the government from its owner Berhane Gebremedhin, now being administered by the Ministry of Public Enterprises (MoPE). Currently, the Ministry and Berhane are in dispute following the request of the latter for the return of the Company. If the government fails to return the Factory to him, Berhane claims to take the government to international court for a 250 million dollar compensation. In the midst of this dispute, the Ministry put the Factory on the list of companies to be privatised during this fiscal year but has not announced a tender yet.